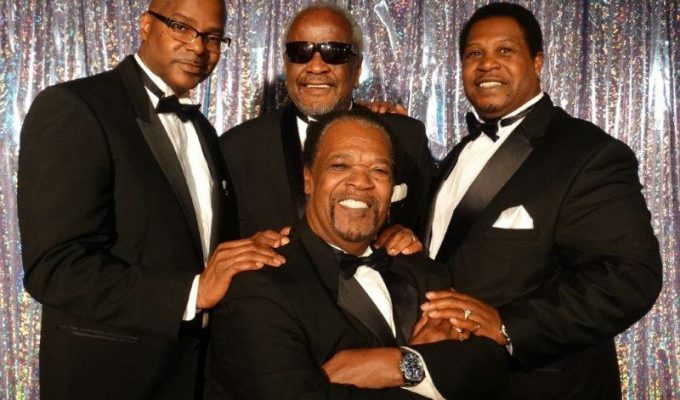 The World Famous Platters performing the classic musical hits we all have come to treasure. Join this legendary musical group as they carry on their romantic tradition and perform their renowned musical hits of the 50s and 60s. An evening spent with The World Famous Platters is all it will take to help countless audiences fall in love once again. This distinctive group’s timeless melodies will take you back to a time of innocence…a time when love songs and romantic ballads imprisoned your heart and comforted your soul. The World Famous Platters perform numerous celebrated hits with the same intense passion as their legendary roots, The Platters. The Platters came together in 1953 and formed a group that would become well known for producing immeasurable timeless classics, becoming a “one-of-a-kind” sensation! The Platters entered into a recording contract with Federal Records (which later became Mercury records), and in 1955, the band’s first hit — “Only You” – topped the charts. Throughout the 50s and 60s, several hits followed— “The Great Pretender,” “Smoke Gets in Your Eyes,” “I’ll Never Smile Again,” “It’s Magic,” and many others. Throughout the years, the group’s list of timeless classics continued to grow to nearly 40 number one hits, and this multi-talented musical entourage received 16 gold records. Due to their never-ending talents and abilities to capture the attention of any crowd, this group has become a favorite of rock-n-roll, pop, rhythm and blues, and country listeners.